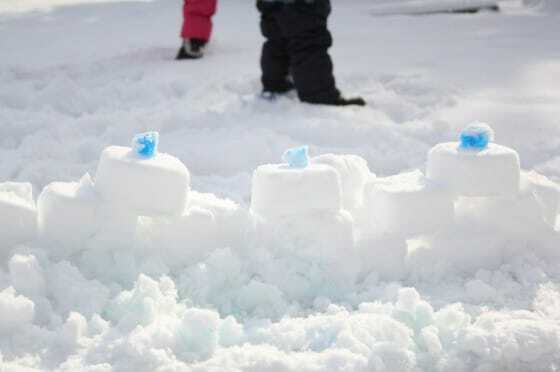 Freeze ice cubes with food colouring and let the kids take them out into the snow to play with them. 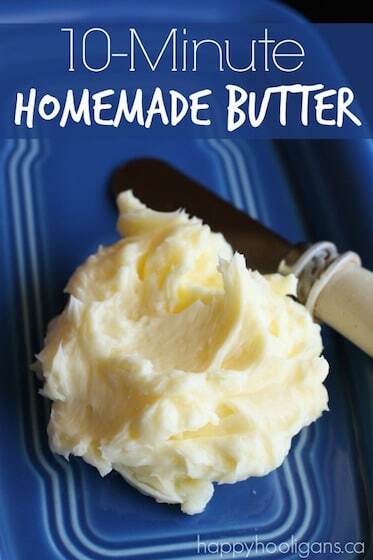 They can build with them, decorate a fort, or simply scoop and transfer them into various containers. 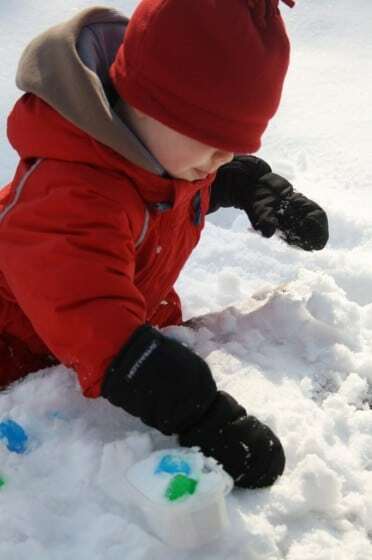 It’s a great way to provide creative, open-ended play on a winter day. 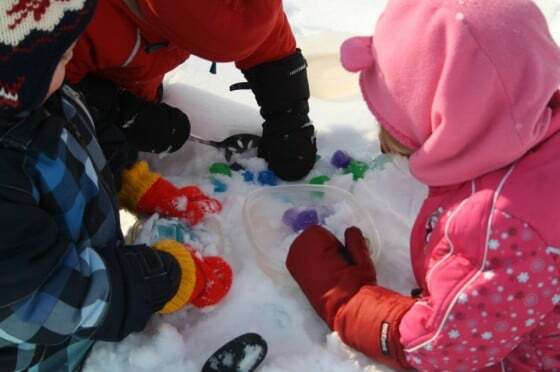 Playing with coloured ice cubes in the snow provides lots of pretend play opportunity for toddlers and preschoolers. 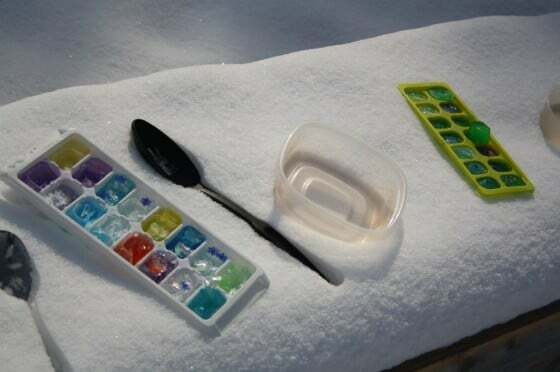 Just freeze a few trays of coloured ice cubes, and the next day your kids can enjoy a morning of colourful outdoor ice play in your backyard. I’ve had these coloured ice cubes in my freezer for a while. We had a nice cold spell and I thought they’d be fun to play with in the snow, but then the temps turned really mild and the only precipitation that we got for a couple of weeks came in the form of rain. 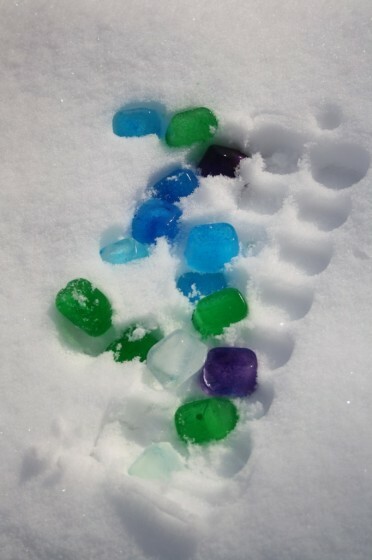 We finally got a decent amount of snow a few days ago, and a chance to take our colourful ice cubes outside to play with. 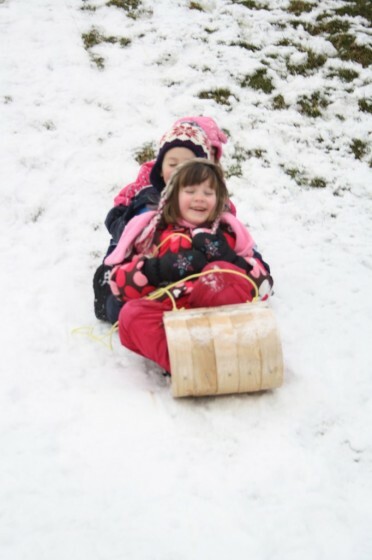 We spent the first part of our morning tobogganing on our neighbour’s hill because this snow isn’t supposed to last for long and we wanted to make the most of it. Then we moved on to playing with our coloured ice. 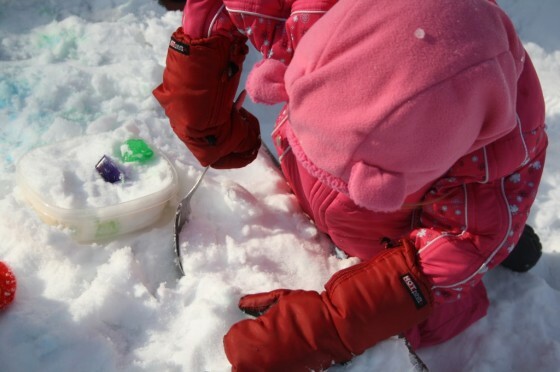 Along with the coloured ice cubes, I provided the kids with some some spoons and containers, and I left the exploring and investigating up to them. The kids are always great to come up with their own ways to use things, and I wanted to see what ideas they could come up with. They had so much fun. They scooped and stacked. They set up a “candy store” and they baked “cakes”. There may have even been a few free samples and some taste-testing going on. 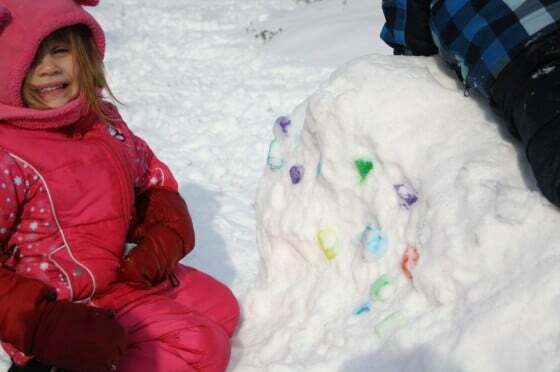 They played with their coloured ice for over an hour, and finished off by decorating the snow-fort and the snow-slide that we’ve been building. 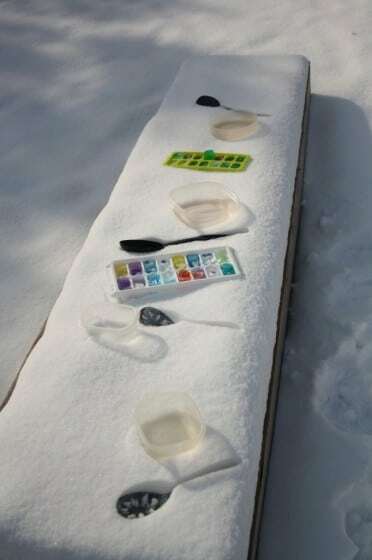 What a simple way to have some colourful fun on a winter day! 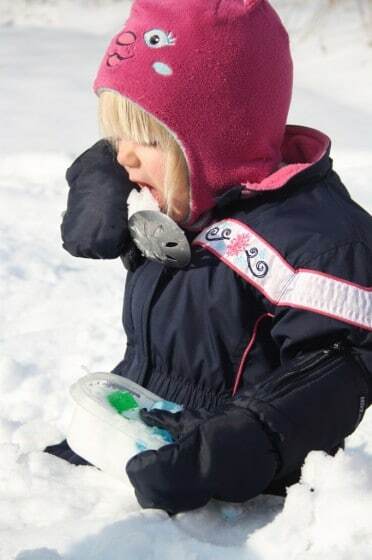 Aww Jackie I love these photos – especially the little girl eating the snow! We have had loads of ice but no snow – yet! I just love that you went outside with the Hooligans when you could have chosen to stay inside.Thanks so much for linking up this week. Thanks Kierna. I have to admit, I’m not a fan of the dull, grey, nasty days, but if the sun is shining, I just have to get out there and enjoy it. On this day, it was so warm, that I ditched my coat. The temp on my deck thermometer read 10 degrees by noon. By late afternoon the snow was pretty much gone. We have to make the most of it while we’ve got it this year, because it doesn’t stick around for long! That’s a great idea, Helen. I love it! I’d love to do that too, if the temps get cold here! Lovely, we make ice art all the time, but not this winter. We has such a mild winter. 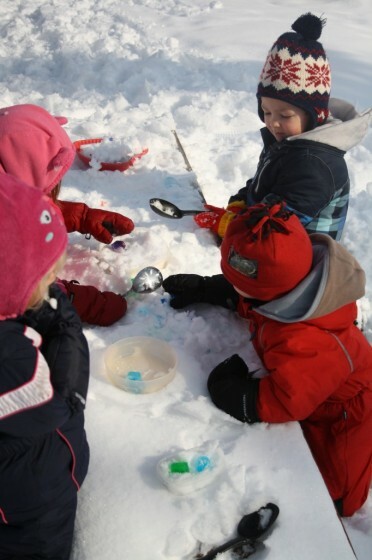 Helen I’m originally from Norway and also was inspired by all the fun stuff they do outdoor at daycare and preschools. Love your ice castle, Kari! Thanks for sharing with us. I’ve shared it on my facebook page. 🙂 Hopefully you’ll get some wintery weather yet! Love it! 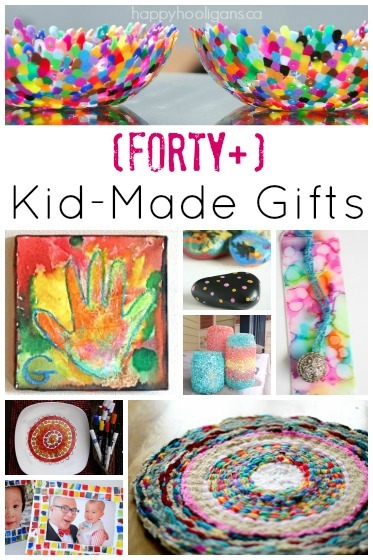 Just pinned on the Outdoor Play Party pinterest board! 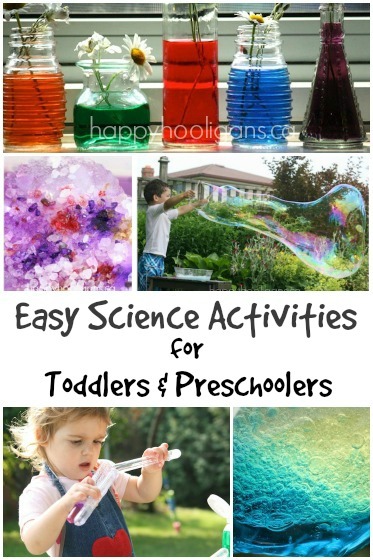 http://pinterest.com/abbiee/outdoor-play-link-up-ideas/ Thanks for linking this up! I love your pics! 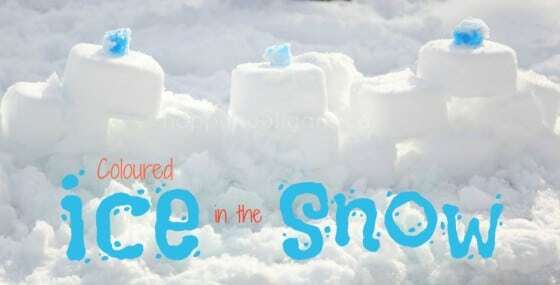 Next time we get snow, we will definitely try this idea. I found you on the Outdoor Play Party. Love your blog. Thanks, Tiffany! So glad you found us! 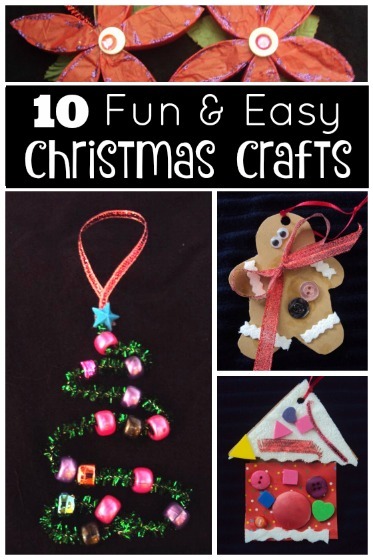 The kiddos had a great time with this activity! 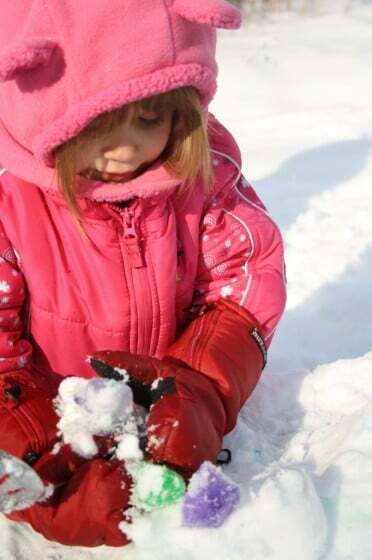 Crossing fingers for you to get some snow soon so you can give it a try!